Are you getting excited about football parties already? So are we! Let Fox’s take care of your food needs for your big game parties. 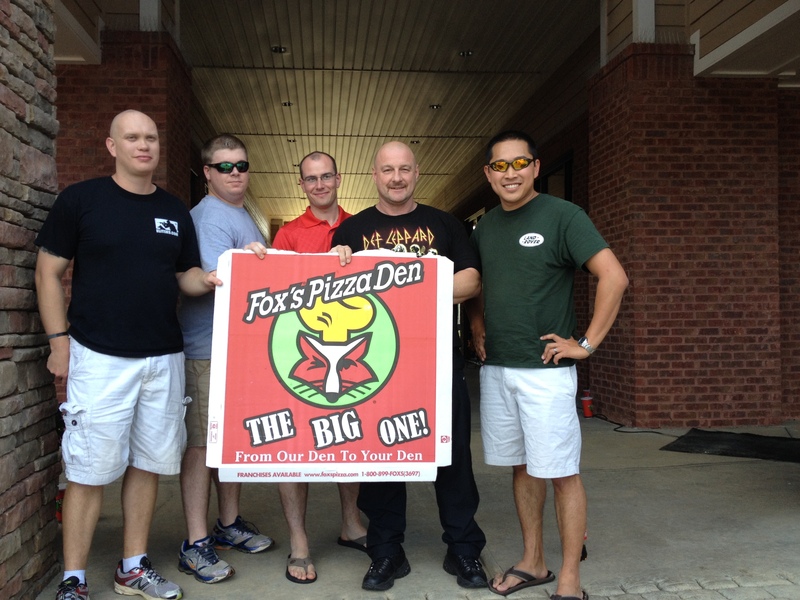 The 30″ “biggest pizza in town” big one pizza is the perfect pizza for your next big event. It’s a lot of fun, delicious, and will be something new and different for your guests to talk about. Call us at 678-661-0220 and we’ll help you plan your next event, and schedule your order for pickup or delivery on your schedule. Fox’s also carries all the extras you may need, from salad bowls to wings to pasta dishes and more! Check out our delicious menu of Fox’s favorites to see what looks best to you!